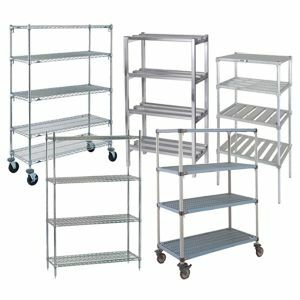 If you require reliable, durable shelving solutions, these solid shelving, wire shelving, and vented shelving options are ideal. 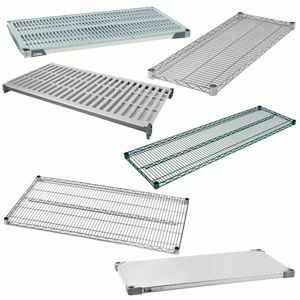 From chrome wire and epoxy coated wire shelves to antimicrobial polymer plastic shelves, there are many options and colors so you can customize your storage setup. 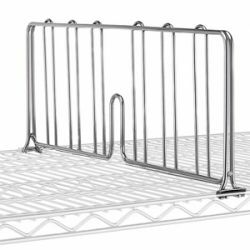 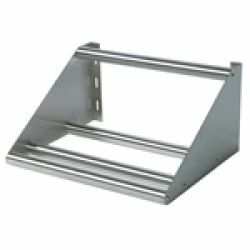 Protect your investment with security shelving and enclosed shelving units. 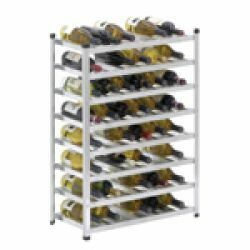 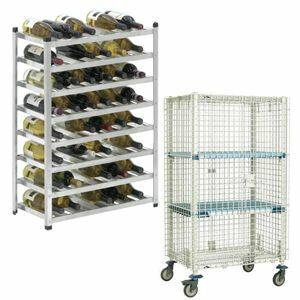 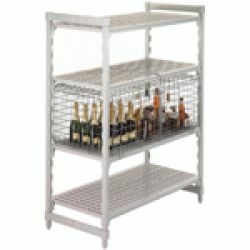 For wine storage shelving, either open or enclosed, you will find models available in different dimensions with a range of storage capacities. 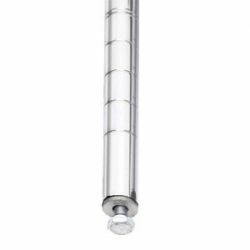 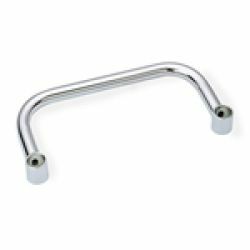 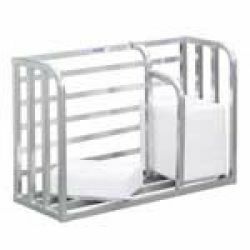 Lock up valuables or supplies for better inventory control. 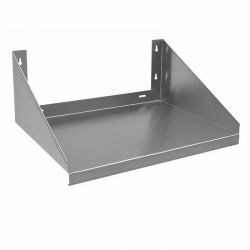 Wall Mount Shelving is a large category of shelf that can be installed directly on a wall. 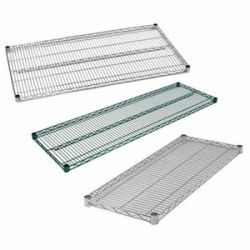 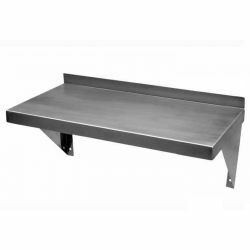 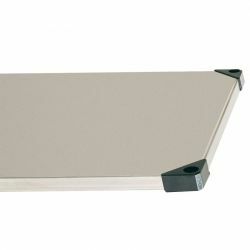 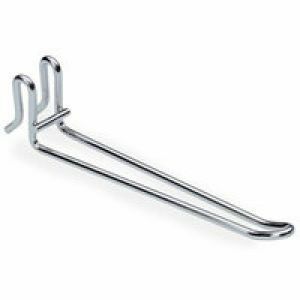 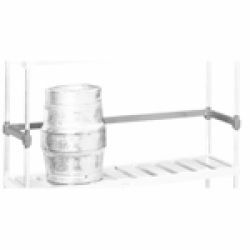 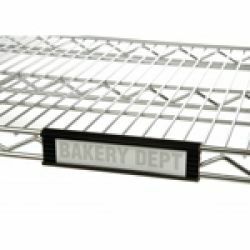 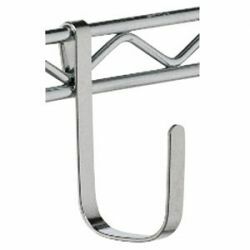 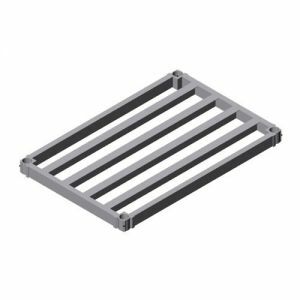 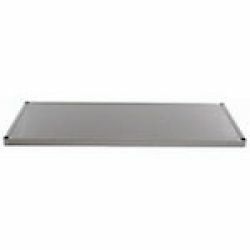 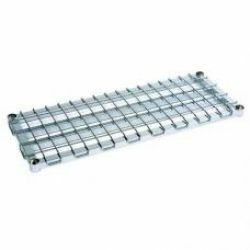 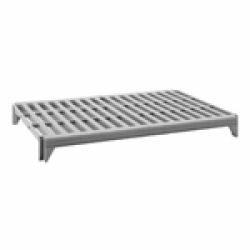 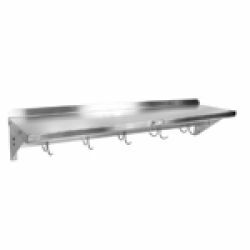 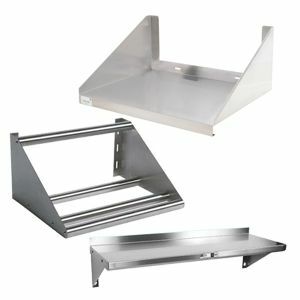 From microwave shelves and dish rack shelves for drying and sorting to wall shelves with hooks for cookware and more. 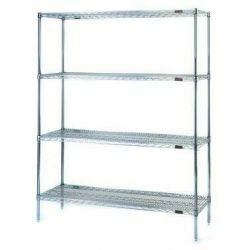 For complete shelving units, including posts and shelves, either pre-assembled or ready to assemble, look at this large selection. 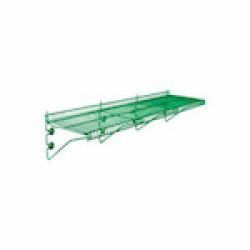 Wire shelving units, cantilever shelving units, and dunnage shelving units are available. 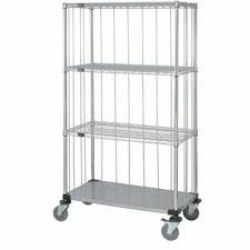 Shelving units can be either stationary or mobile units with casters and other features. 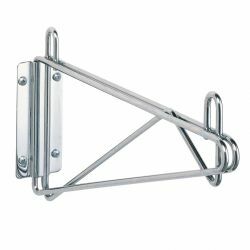 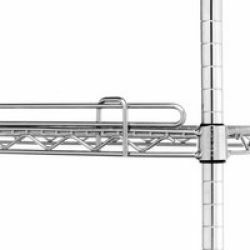 For even greater customization of your shelving and storage situations, add and combine these accessories. 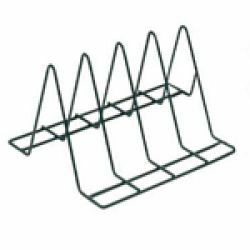 For organizing, use dividers, baskets, and labels. 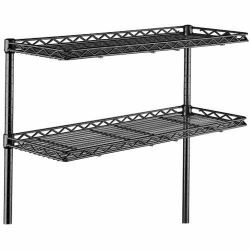 Consider adding ledges, racks that enhance shelves, back stops for keeping items from falling, and hangers and hooks for expanded space and additional storage. 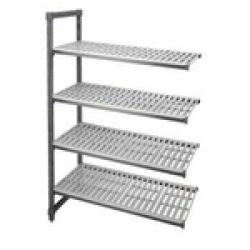 When you need a storage shelving solution that is customized to your specific needs, consider these shelving or rack parts that can be combined for new shelving units or swapped out with existing parts. 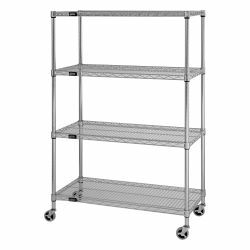 Expand your storage applications with additional posts, dunnage shelves, cantilever shelves, or solid and wire replacement shelves.